Bright and funky isn’t it? But I was inspired by the fluffy skirt with its many folds. It almost looks like an inverted Carnation. 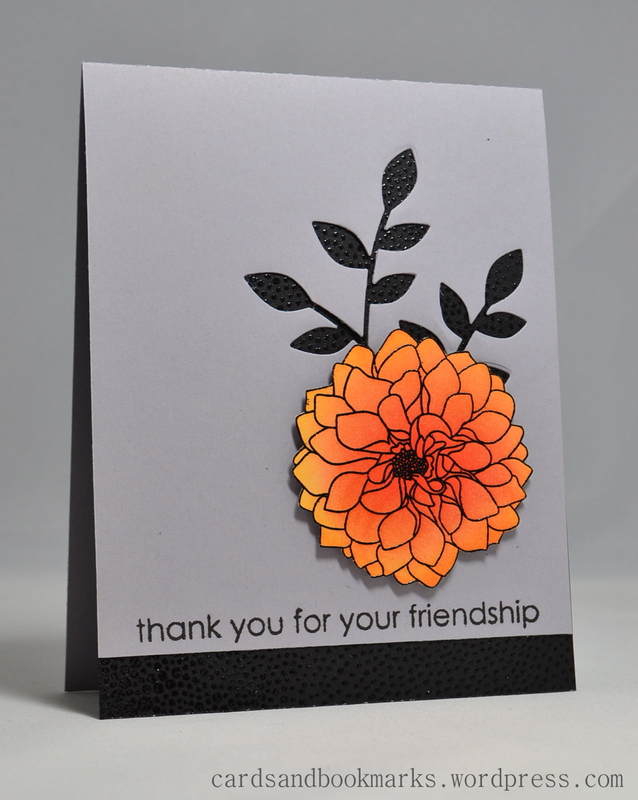 I chose a flower stamp from the Fabulous Florets set by Stampin’ Up!, and stamped it on light orange paper with Stampin’ Up! Calypso Coral ink. I did the shading by masking off everything except for the 1.5 inch strip, then applying Pumice Stone Distress ink with a sponge applicator. I applied more ink at the bottom and less as I went up, and thus achieved the gradation. 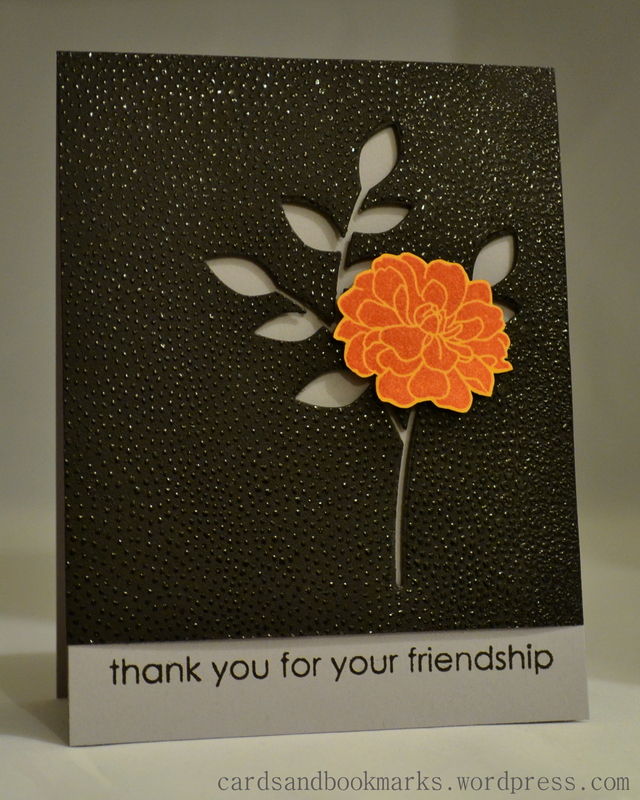 Finally I stamped the stem and the sentiment onto the card base, and attached the flower with foam adhesive. I didn’t stop at one card though, I went ahead and made a few others. They are similar in that they all have a flower that resembles the skirt and quite the same design. The front grey panel of this card was actually a scrap piece left over from another project. I had cut out the leafy stem and used it for this card. 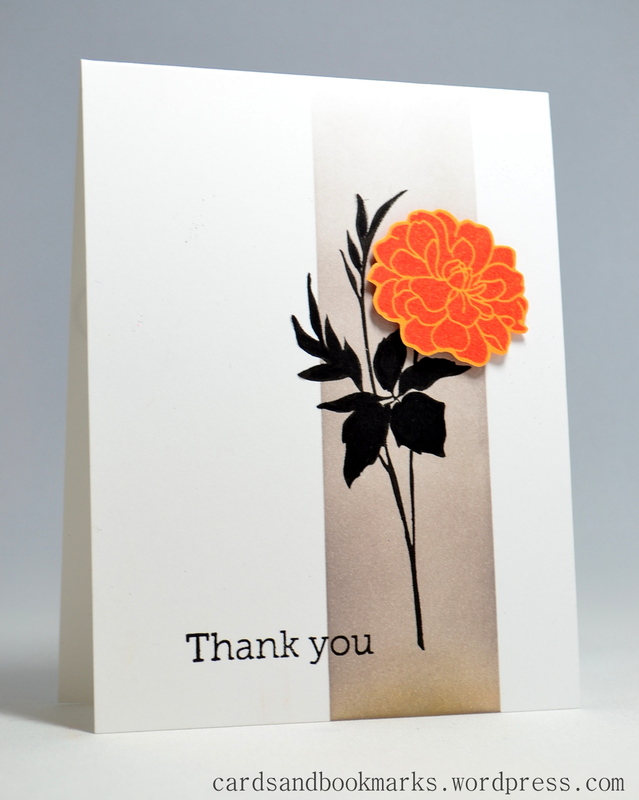 I simply clear embossed this gradation stamp on black card stock and used it as the card base. 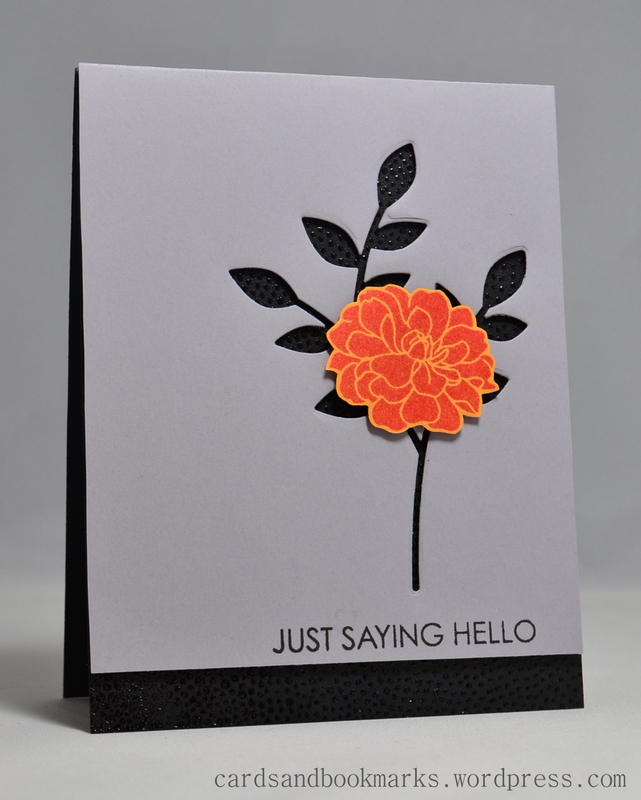 Another stamped flower and the card was done. This week’s sponsor is Simon Says Stamp and the winner will get a $15 gift card to their online store. I hope you will get a chance to participate, and for more inspiration, please check out the gorgeous creations by the rest of the design team. Absolutely stunning! Love ALL of your cards, Tasnim!! I am blown away by your creativity! Fabulous cards! I love how you masked that strip. Really looks fab! Wow, Tasnim!!! So many beautiful variations on a theme. Love the way that IO Gradation stamp looks embossed and, as usual, your coloring is spectacular. Love the final card the best, Tasnim! Love how you played with the combinations!